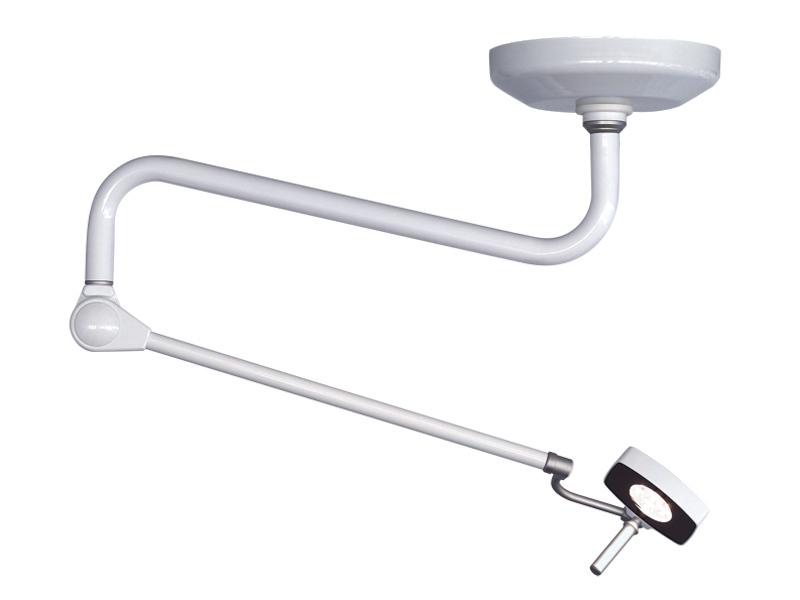 The MSL Series 1 is the ideal minor procedure and examination light for any healthcare environment. Multiple mounting configurations are offered in this comprehensive and high quality range. 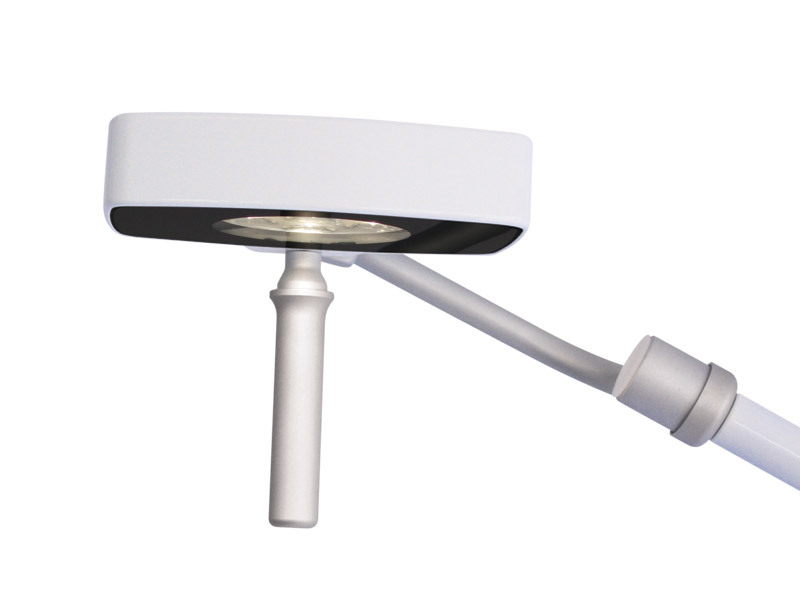 Locally manufactured in-house from premium grade materials, it is a durable purpose built design to assist the user that requires exceptionally good light. Our NEW patented spring friction control arm requires no adjustment or on-going maintenance allows for effortless repositioning and is drift free. 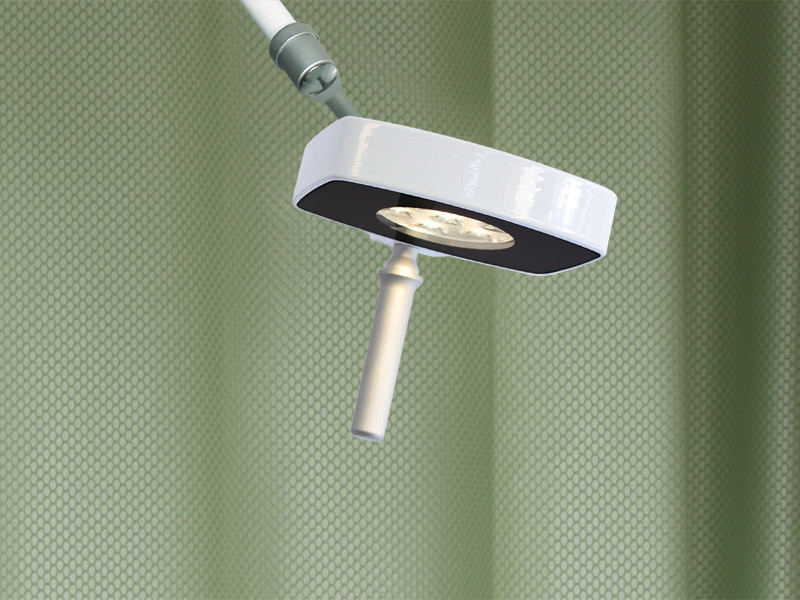 The ceiling mounted option provides the user an unobstructed use of the area allowing maximum flexibility and range of movement for full patient coverage. The series 1 head rotates at both the light head and yoke allowing the user precise control over its brilliant illumination. 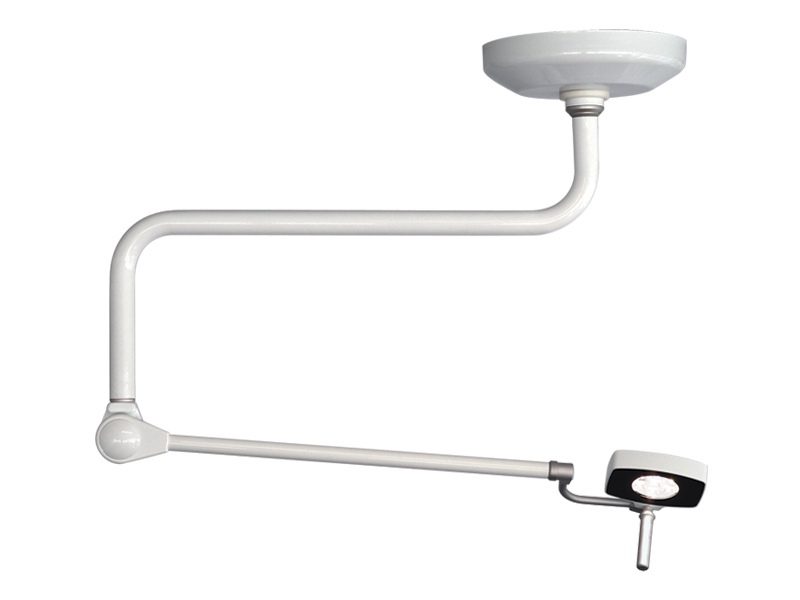 The Series 1 medical examination light is available with multiple mounting options. LED light technology – 1 x 10W. Suitable for different ceiling heights. Note: Ceiling height must be specified at time of order. For ceiling heights lower than 2630mm a ‘LC’ suspension arm is used. Optional 360° continuous rotating electrical connector at the upper ceiling joint – to specify add /360°. 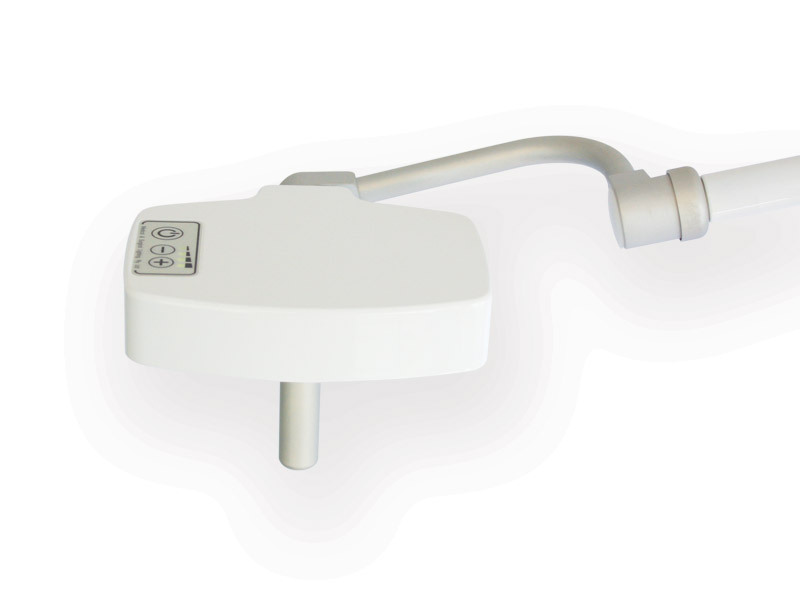 Light Source – compact LED module comprising 7 LEDs, driver and lens specifically designed for medical lighting tasks. Wattage – 1 x 10W. Dimming – 4 stage electronic dimming. Light Source Average Life – 35,000-50,000 hours. Beam Diameter – 89.7mm* @ 600mm – 133mm* @ 1000mm (* measured at 50% of peak value). Voltage – 36 V DC. 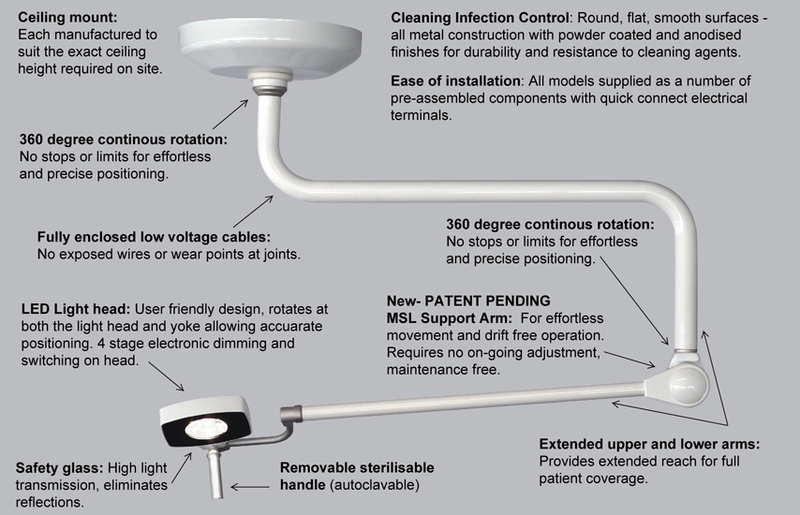 Medical & Surgical Lighting Pty Ltd is proudly an Australian company. MSL has an ongoing program for new product development and manufacturing upgrades.